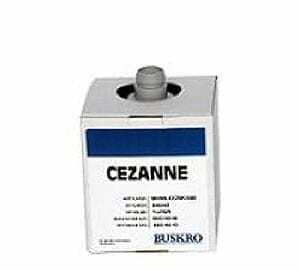 Buskro’s Renoir UV curable inks provide crisp, dark, high quality print at high speeds. It is capable of printing on a large variety of substrates, ranging from porous stock to coated paper, plastics and even metal. 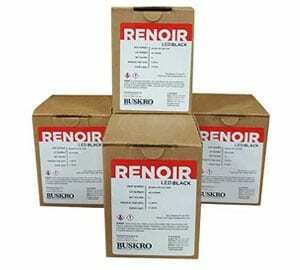 The Renoir LED inks are specially formulated to react to UV light produced by Buskro’s LED curing lamps. Although the ink is typically “dry” to the touch immediately after exposure to the light emitted from the UV lamps, the curing process continues even after such UV light exposure is removed. 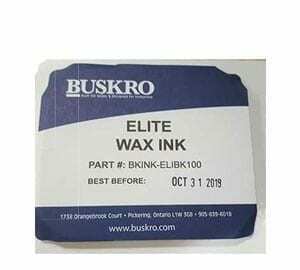 This post-cure reaction further cures the ink to increase resistance to abrasion and/or solvents and typically reaches its full resistance after 24 hours. 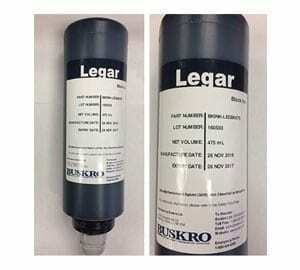 Available in; LED and UV formulations, and in 375ml for the Atom Print head or 1 Litre bottles.